Plus: To splint or not to splint? Electronic cigarettes, or e-cigarettes, represent a significant and increasing proportion of tobacco product consumption, posing a tremendous threat to oral health. In my clinical tip this month, I highlight three products contained in e-cigarettes and their deleterious effects. An argument can be made that vaping is equally dangerous, if not more dangerous, to oral health when compared to traditional tobacco use. Three e-cigarette ingredients notably deteriorate oral health: propylene glycol, vegetable glycerin, and nicotine. Dr. Scott Froum examines the specific effects of each. 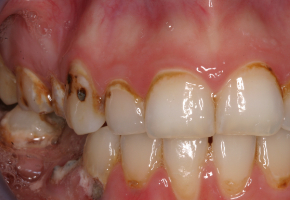 Dr. Terry Walton examines the long-term effects of splinting adjacent dental implants in segmental tooth replacement. 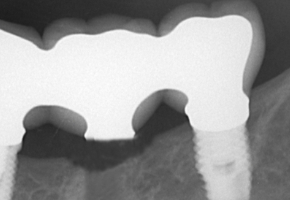 The article is a preview of Dr. Walton's upcoming presentation at the 2019 Academy of Osseointegration annual meeting. 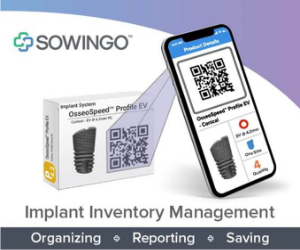 Spend less time managing supplies and more time with patients by using Sowingo, the most powerful, easy-to-use dental inventory management platform. 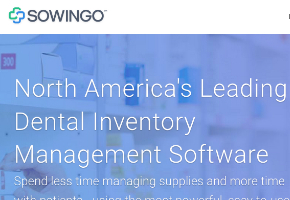 Click through to learn more about Sowingo, request a live demo, and calculate your savings!